We will be offering an add-on session on Tuesday, June 11 for NALSAP Conference attendees who are interested in becoming “Mental Health First Aiders.” Mental Health First Aid is an 8-hour course that teaches you how to help someone who is developing a mental health problem or experiencing a mental health crisis. The training helps you identify, understand, and respond to signs of addictions and mental illnesses. Learn where to turn for help – professional, peer, and self-help resources. You will learn by getting involved with the material and relating what you are learning to real-life applications. Discussion topics, exercises, and other activities keep you engaged in the course and give you an opportunity to practice helping skills. One or two certified instructors lead each course and follow a national curriculum and teaching standards, while emphasizing hope for recovery. Classes usually consist of 30 people or less and are offered in a respectful, comfortable environment. Thanks to a generous grant from our Premier Partner AccessLex, we are able to offer this Mental Health First Aid Training at a steeply reduced cost ($50) for attendees willing to record and anonymously report general information about how they used the training in the 2019-2020 academic year. Information would only be needed on basics such as number of students (or others) served and in what capacity (suicidal ideation, depression, anxiety, etc.). You would complete a very simple form (which will be provided at the end of the session) and it would be due on July 1, 2020. AccessLex will aggregate and anonymize the information to provide a national snapshot for future grant awardees. 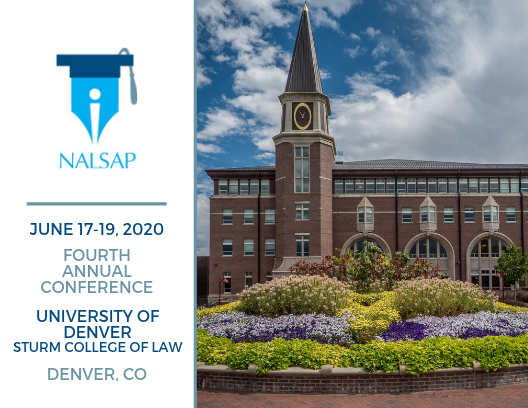 AccessLex would like to be able to provide future grants for the Mental Health First Aid to NALSAP and other law school groups and this information will help with the grant awarding process. For those who would not find it feasible to record this information, you may opt to register for this training and pay regular tuition ($150). This training is limited to 30 people. 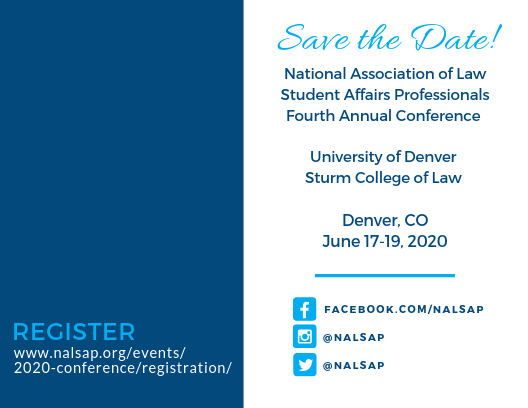 Payment is due at time of registration and is non-refundable after May 31, 2019. Your registration fee includes coffee/tea and lunch.